Beauty Industry West - 5 Fatal Sales Mistakes Uncovered in the Beauty Biz Sales Chain; What’s Your Weakest Link? 5 Fatal Sales Mistakes Uncovered in the Beauty Biz Sales Chain; What’s Your Weakest Link? BIW Meeting is One week later! International retailing and sales expert Carol Phillips has spent her entire career working with beauty companies and vendors at every link in the Beauty Biz Sales Chain. One thing is for sure, every link in the chain has its weak points which can ultimately sabotage the final sale and prevent companies from reaching their full potential. From product concept to sell-through there are tons of sales killers that are making it so much harder for you and your team to make the sale, especially in this very competitive market. Carol’s presentation will show how to shore up your weak links so you can drive sales higher and SMARTER . . . . . Known as the “Diva of Retail,” Carol Phillips has helped thousands of retail beauty, salon and spa businesses see their sales soar. One of the most sought-after speakers in the beauty industry, Carol’s sole focus is discovering ways to boost the retail segment of the salon and spa business. Her unique approach to sales and training enabled her own spa to average 55% of total revenues in retail product sales, and made her the first recipient of the “Retailer of the Year Award” by American Salon Magazine. The award, given for “creative excellence in salon merchandising, service and sales techniques in the art of salon retailing,” set the groundwork for her first book, In The Bag. Carol has since produced over 25 DVD’s and audio spa sales training tools and two cutting edge in-spa music programs. 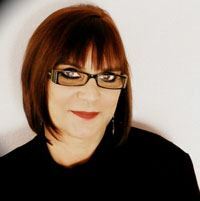 Carol also co-authored ISPA’s definitive book, Retail Spa Management with other ISPA team members and today beauty school students and spa therapists around the world are being trained using the first complete sales and marketing online learning beauty curriculum designed and produced by Carol Phillips. As the founder of BeauteeSmarts, which offers full service marketing consulting including branding, product development and sales and service training programs, Carol’s client companies have included John Paul Mitchell Systems, Redken, YG Labs, Jane Iredale, Intraceuticals, Golden Moor, Environ and Eminence. Carol has also personally trained staff at landmark spas such as Miraval, Hilton, Encore, Wynn, Canyon Ranch Resorts, Elizabeth Arden Red Door Salons, and Exhale Spas. Carol’s company also designed the original prototype spas for Estee Lauder’s Origins Spa and General Nutrition Centres (GNC). If you have something to sell, Carol can help you sell more of it. Appetizer: Butternut Squash Soup with a dollop of Crème Fraiche and spring of tarragon Served with Fresh Rolls & Butter. Cranberry-Glazed Roast Turkey served with Herbed Bread Stuffing, Giblet Gravy, Green Beans with French Onion Slices, Brown Sugar-Roasted Yams and Cranberry Orange Sauce.